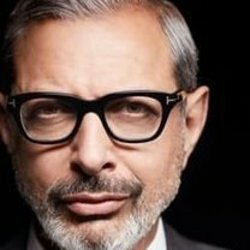 Jeff Goldblum is an American actor. He is known for starring in some of the highest-grossing films of his era, Jurassic Park (1993) and Independence Day (1996), as well as their sequels, The Lost World: Jurassic Park (1997), Independence Day: Resurgence (2016), and Jurassic World: Fallen Kingdom (2018). His other films include The Tall Guy (1989), Deep Cover (1992), Powder (1995), The Prince of Egypt (1998), Cats & Dogs (2001), Igby Goes Down (2002), The Life Aquatic with Steve Zissou (2004), Adam Resurrected (2008), Le Week-End (2013), The Grand Budapest Hotel (2014), and Thor: Ragnarok (2017). He also starred in several TV series including the eighth and ninth seasons of Law & Order: Criminal Intent as Zack Nichols.